with much hesitation I'm selling my rare and collectible Tokyo Maurui CAR 15. The gun is in perfect working order if you wish to use it, looking as if it had just been taken out of the box fresh from factory. Even the box is in great condition with much if not all the original paperwork, including manual, catalogue and targets. A great gun for collectors but also a usable one. 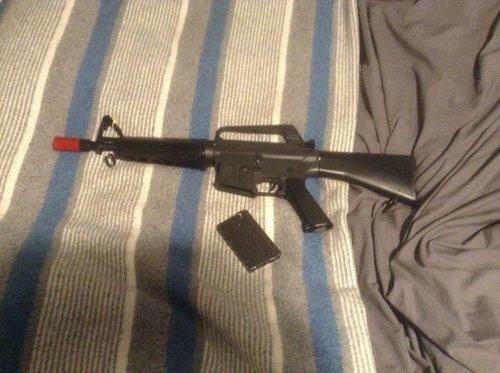 Great for anyone who collects vintage airsoft guns, reenacts Vietnam or is just looking for an odd but practical gun to play with. Buyer also pays shipping and pay pal fees. 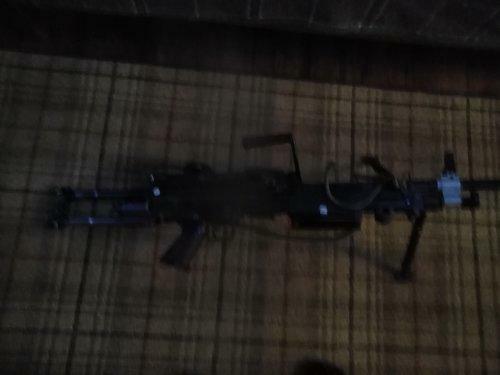 Used A&K M249 fully functioning. Selling only to pay for holiday. If you have any questions fell free to ask.